Welcome to Monks’ Market, the sales outlet of St. Bede Abbey. 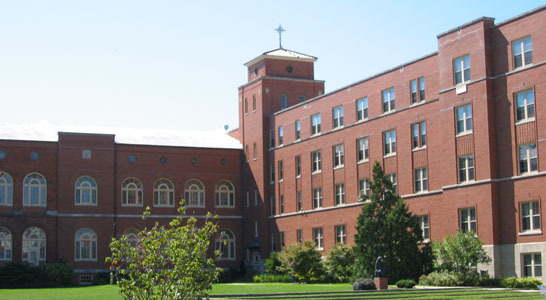 St. Bede Abbey is a Roman Catholic Benedictine monastery located outside of Peru in North Central Illinois. In addition to its high school ministry, the monastic community encourages its artisans to produce quality items. Our Fr. 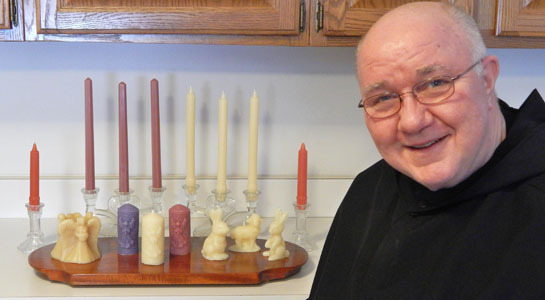 Patrick has developed a line of handmade, 100% beeswax candles of assorted styles and colors. Fr. 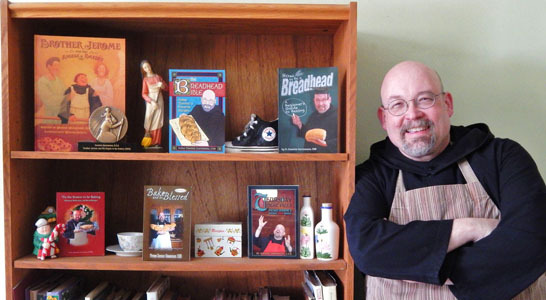 Dominic, well-known for his baking programs on public television, has published several cookbooks and an awarding-winning children’s book. In late fall, honey from the abbey apiary will also be available for purchase.